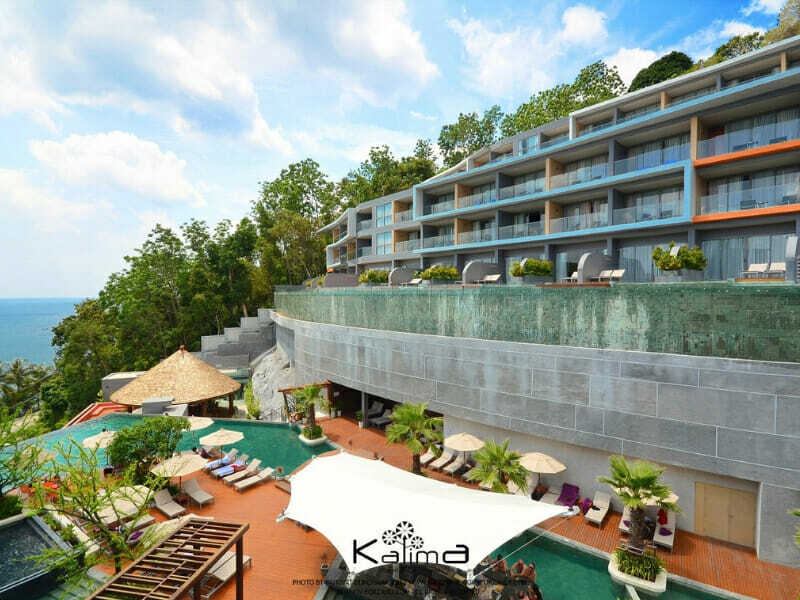 Sitting on the hillside just north of Patong Beach in Phuket you’ll find Kalima Resort & Spa Phuket. 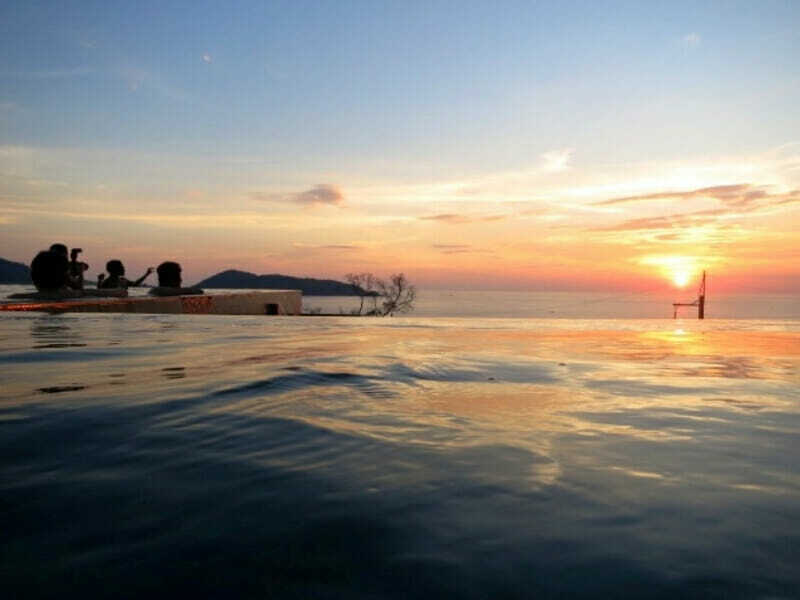 With magnificent panoramic views of the nearby beaches and the beautiful ocean stretching to the horizon, this elevated position gives you one of the best outlooks in all of Phuket. 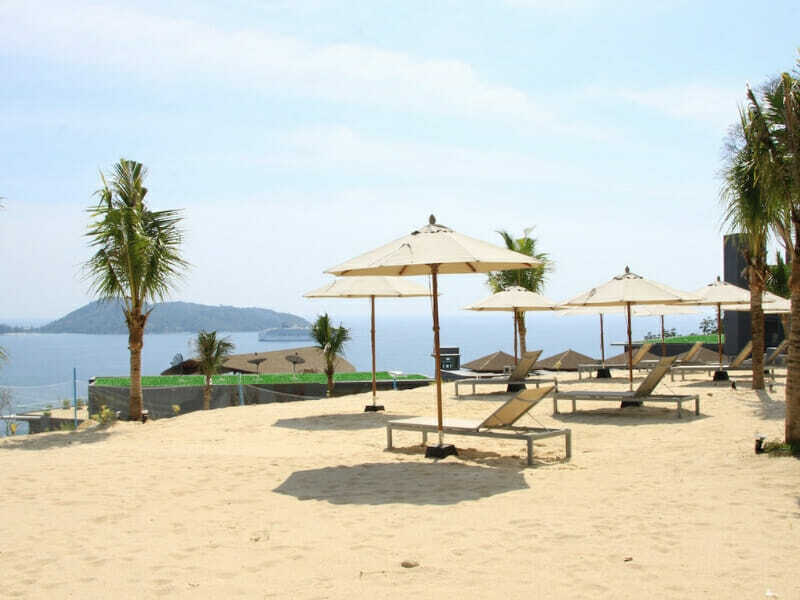 The resort offers guests high-quality accommodation and a great list of on-site facilities. You are slightly removed from the crowds and noise of popular Patong Beach, but close enough to enjoy everything it has to offer. The resort features a contemporary design with plenty of liveliness and character that is evident in the public spaces and also through the 190 rooms and villas. You have several excellent dining options at the resort, with the signature restaurant Malika Terrace offering delicious international and local dishes served in an open-air dining area that has stunning ocean views out over the ocean below. 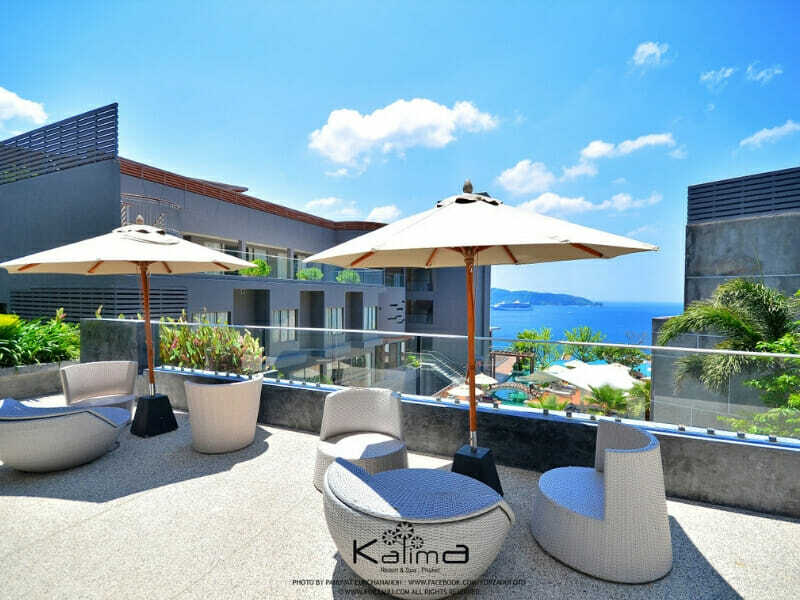 The Sky Bar is the rooftop bar here at Kalima and a fantastic place to socialise at night and enjoy the range of cocktails and drinks on offer. 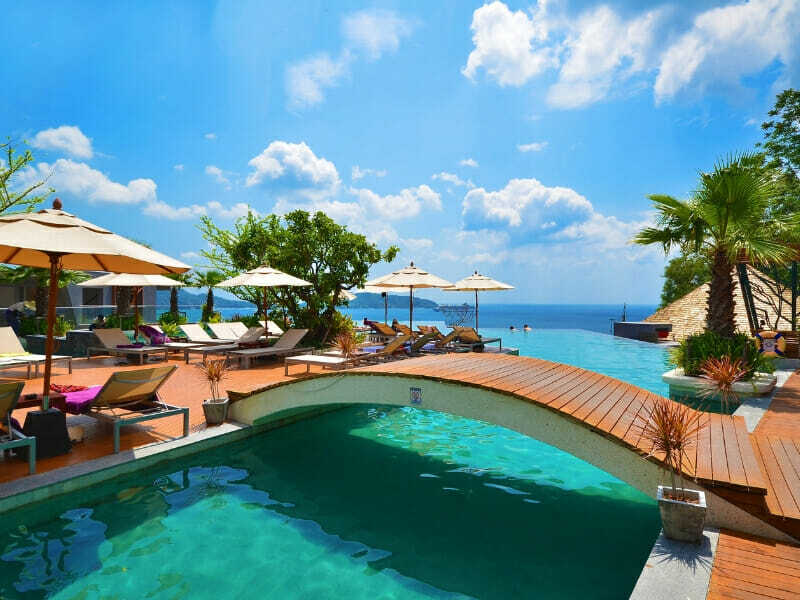 Trio’s is a swim-up bar that is right in the middle of the large infinity pool and makes the relaxing and shady pool area even more enjoyable. Busaba Spa is your own personal retreat where you can be pampered by the professional therapists and choose from the menu of relaxing massages and invigorating health and beauty treatments on offer. Only 100% natural products are used and you will love the peaceful and nurturing environment that has been created here. If you’re in the mood for a workout, the resort offers guests a fully-equipped gym with a great range of weights and cardio machines. The challenging Mini-Golf course is great for the whole family and the kids’ club has been designed to give children a safe place to enjoy some interesting activities. Child minding is also available on request. 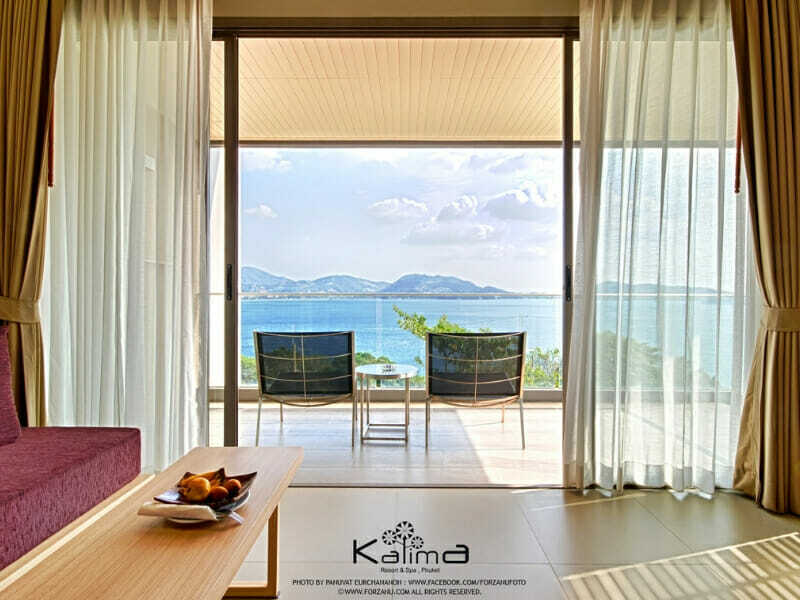 Why Go to Kalima Resort & Spa? 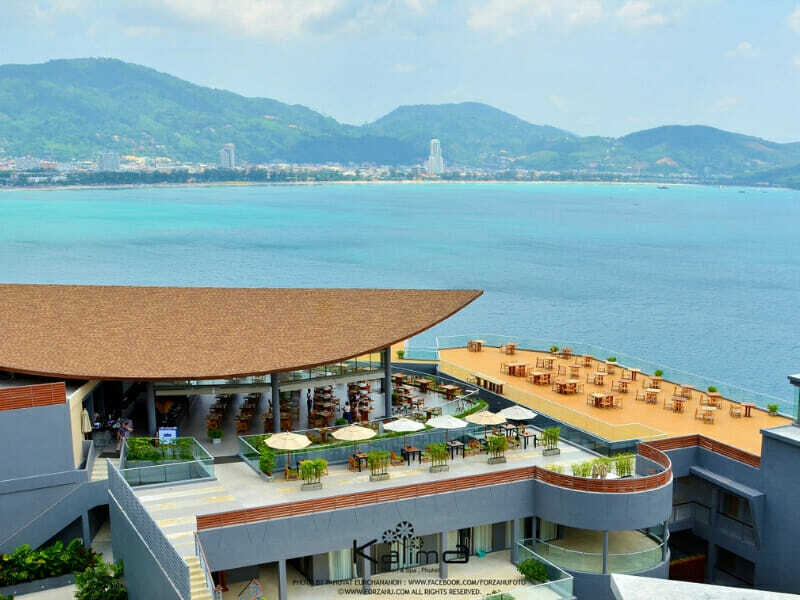 You’ll love your stay here if you are looking for a modern resort with great amenities, fantastic views from vantage points all over the property and a quieter environment than being in the centre of Patong. The resort offers a regular shuttle into Patong, but it’s also just a short taxi ride to get these or to Kalim Beach which is even closer. This is a perfect spot for those seeking a relaxing environment with spectacular views, but fewer crowds and noise than you will get right on the beachfront. 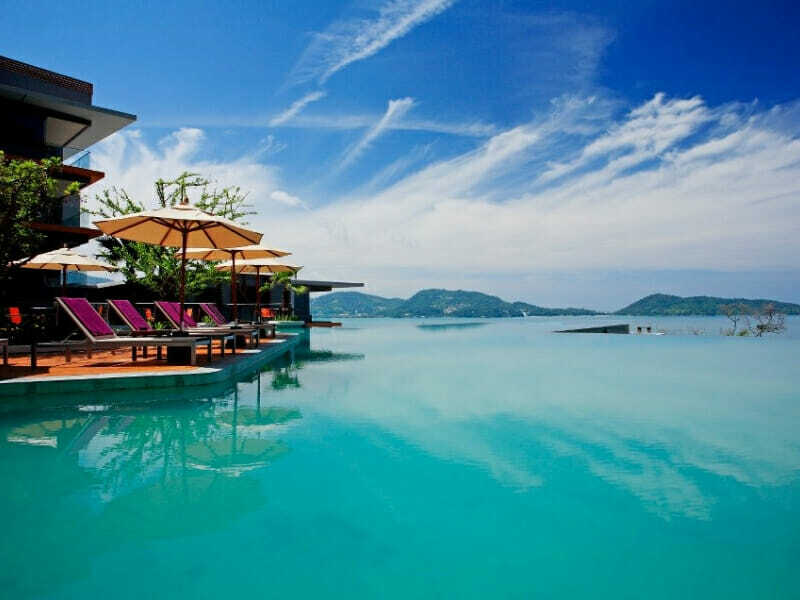 If this sounds like your perfect holiday to Thailand, give us a call now on 1300 000 753! This beautiful room has contemporary styling and feels very open as the massive floor-to-ceiling glass doors allow abundant natural light into the space. Your private balcony is a great spot to sit with a cool drink and enjoy the sweeping ocean views. The room is a huge 46sq. metres in size, so you have plenty of space to spread out and relax. There is a King-size bed in the room, deep soaking bathtub in the bathroom, facilities for making tea and coffee and a large-screen TV with satellite channels. 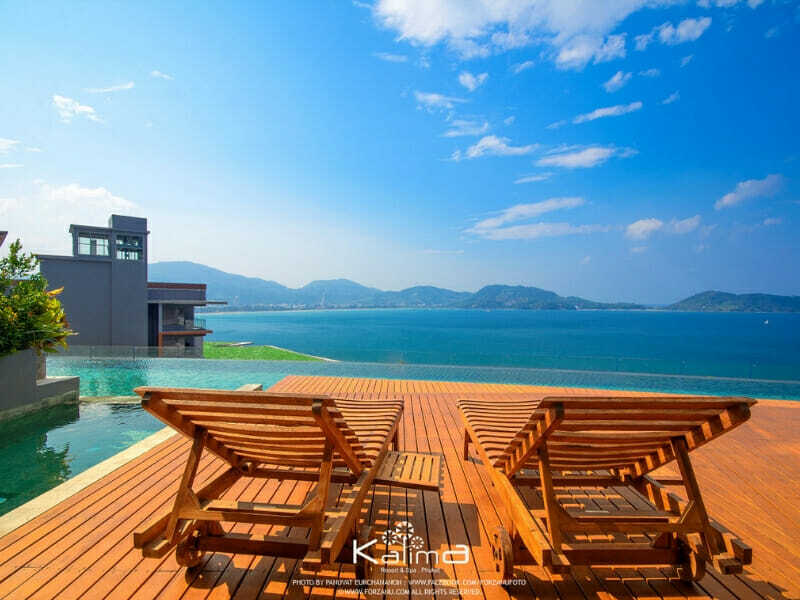 Your sundeck has sun lounges and a Jacuzzi pool, so it’s the perfect spot to kick-back and enjoy the fantastic Phuket weather while soaking up the stunning ocean views. This huge 65sq. metre villa has luxury styling without losing the relaxed coastal feel the resort is known for. The villa gives you a separate living area and bedroom and your King-size bed looks straight out to the ocean and is an amazing place to wake up each morning. You have a separate shower and bathtub in the deluxe bathroom and a fantastic range of natural toiletries to use. The villa is air-conditioned and for entertainment you have a large-screen TV with satellite channels, in-room Wi-Fi and a handy smartphone with unlimited local calls, select international calls, free internet access and useful travel information and promotions. 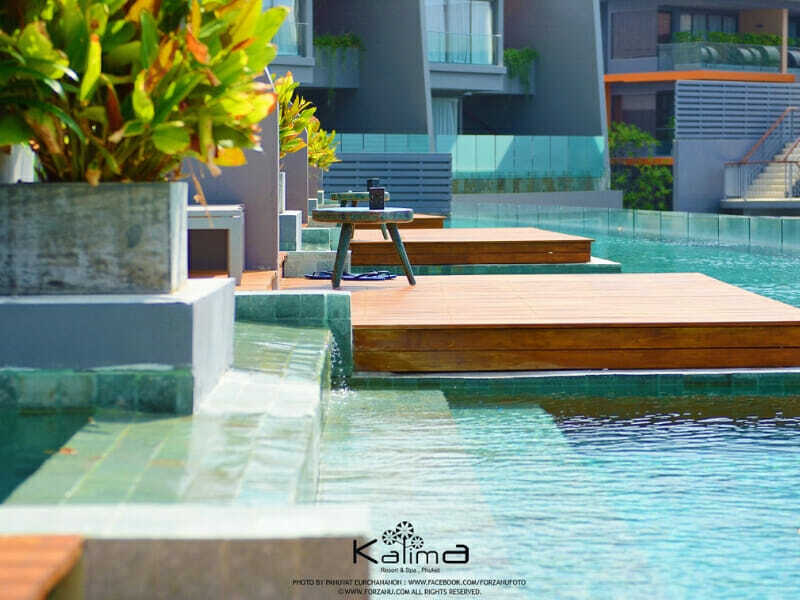 You’ll find the Kalima Resort & Spa Phuket on a hillside overlooking the beautiful sandy beaches of Kalim and Patong and the sparkling ocean waters of the Andaman Sea. 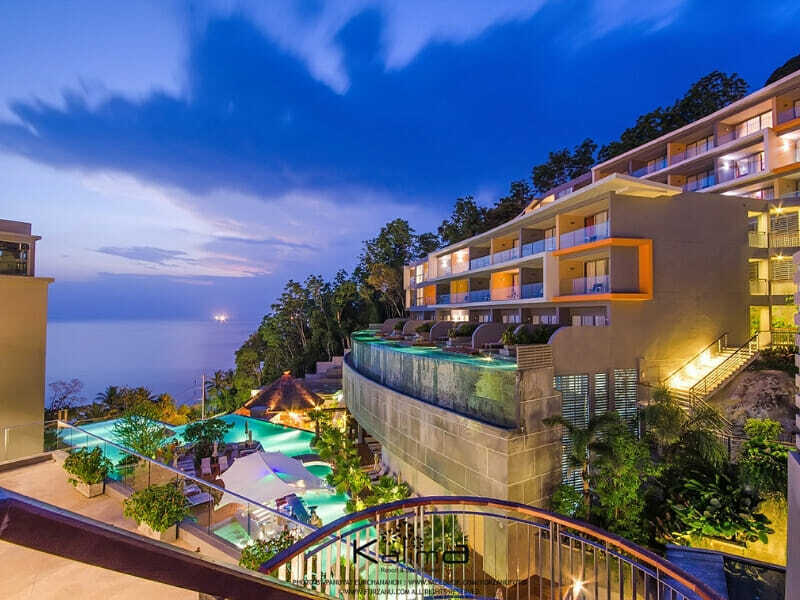 This resort feels secluded and quiet but is only a 10-minute drive into Patong, a major tourist destination where you will find every amenity you could possibly want, including shopping, restaurants and vibrant nightlife. 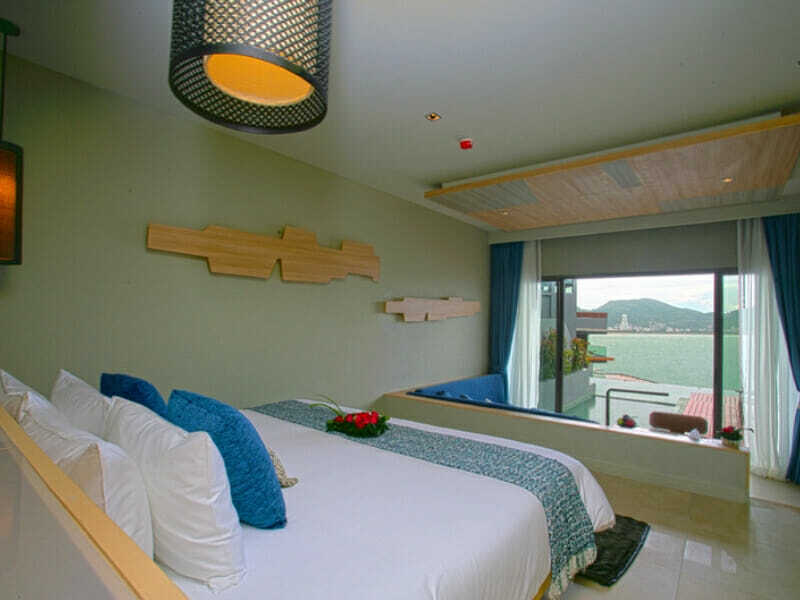 The resort is approximately 50-minutes from the international airport and Patong is a good central location if you want to strike out and explore other Phuket attractions. Enjoy time around the pool areas at the resort, unwinding and enjoying the wonderful elevated position and the stunning ocean vista below. Try a round of the Mini-Golf course or if you’d prefer something more relaxing, head to the luxurious day spa and be pampered by the friendly and experienced therapists. Kalim Beach is a lovely beachside community where you’ll find a wide sandy beach that is a great place to spend some time sunbaking or enjoying water activities. Head to Patong where you’ll find plenty of shopping, restaurants and cafés, local markets and a lively nightlife. If you want to explore more of the local area you will find some secluded and less populated beaches and thick natural rainforest with walking tracks. 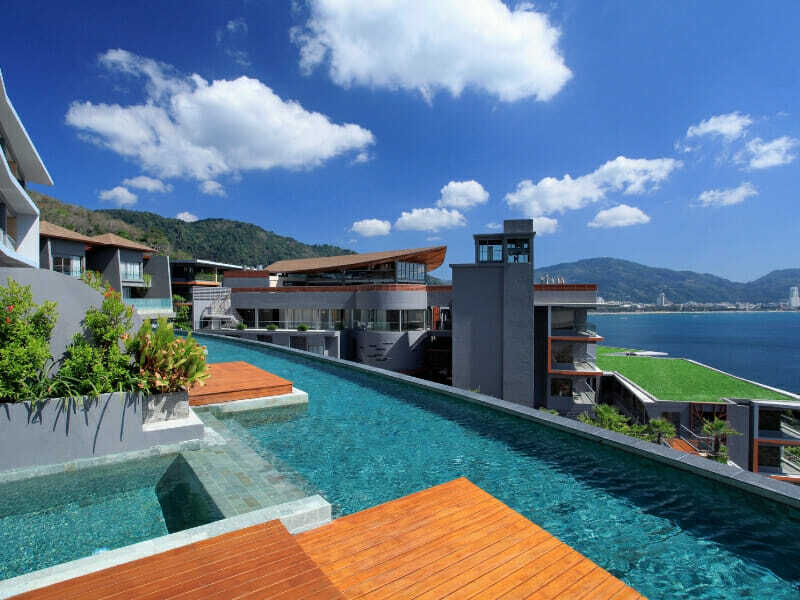 Stunning hotel set into the hillside. The level of service is amazing! Our room had an ocean view and the resort is so close to Patong Beach but far enough away to be nice and quiet. Cannot fault this hotel.